If you’re looking for a well-built racing drone, then The Awesome Youbi XV might be one of your choices. This racing drone is announced to have an impact-resistant body which has a carbon fiber airframe and a Polypropylene outer cover, protecting even its camera from impacts, the camera being located at the front of the quad-copter. Being light and small (115g without battery), it can be used both indoors and outdoors so you will be able to play with it even if you don’t want to go outside the house. 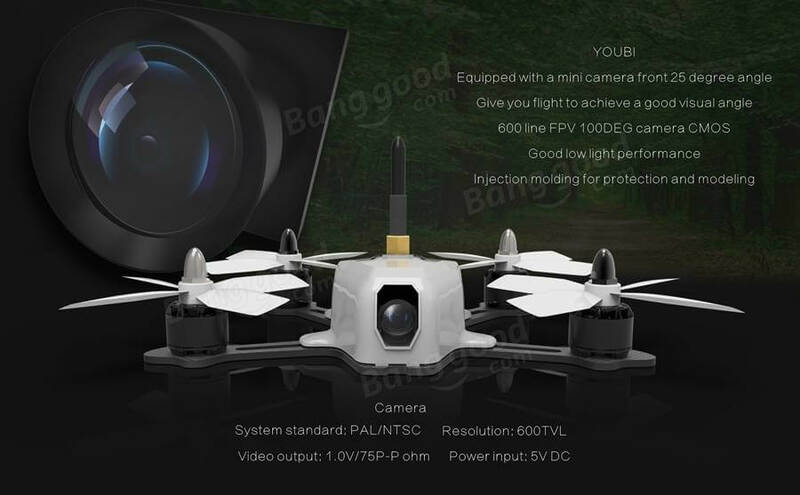 The drone’s FPV is made from its 600TVL 100 degree camera, with a 40 channel 5.8GHz transmission, it also permits a quick switch of the transmission power (25mW / 200mW / 400mW) due to the local requirements and regulations. The controller is a F3 5.8G vTx integrated flight controller with a 4 in 1 BLHeli-S ESC which can drive the four 1306 brushless motors, making the flight is more linear and more stable. 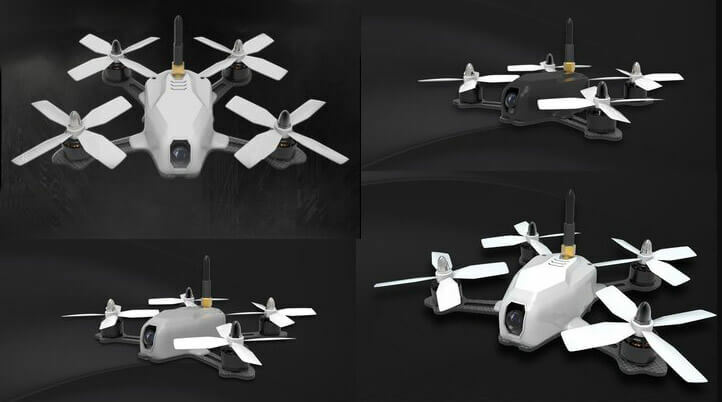 The Youbi XV is a replica of the RotorX Atom V2 quad-copter drone having really similar features and almost the same design. The PCB of this drone is supplied by the manufacturer that makes PCB for the DJI drones. The racing drone is available on 3 shades: black, white and gray and it is currently on the sale for $175. 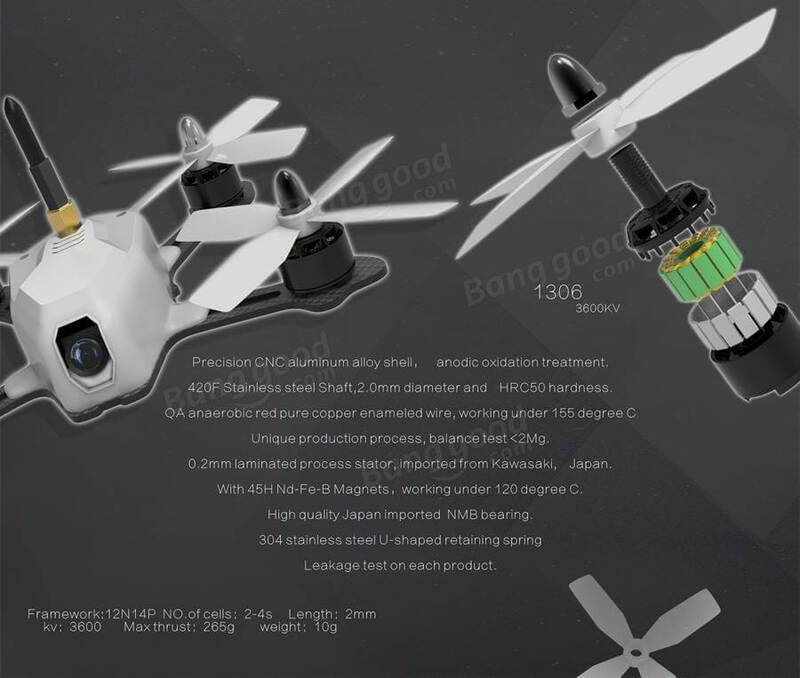 The package contains one Youbi XV-130 Frame Kit, one PP cover, one 4 in 1 BLHeli-S 20A ESC, one F3 5.8G VTX Integrated Board, four 1306 motors, four 75mm Propellers, one 600TVL CMOS Camera and one rubber ducky antenna. To start it and make it fly, you will need to have your own 4s LiPO battery because it’s not included in the package. However, Youbi has built a very impact resistant racing drone that has good chances on being a success.